Jimmy A. Piersall, outfielder for the Boston Red Sox at spring training at Sarasota, Florida, in March of 1958. 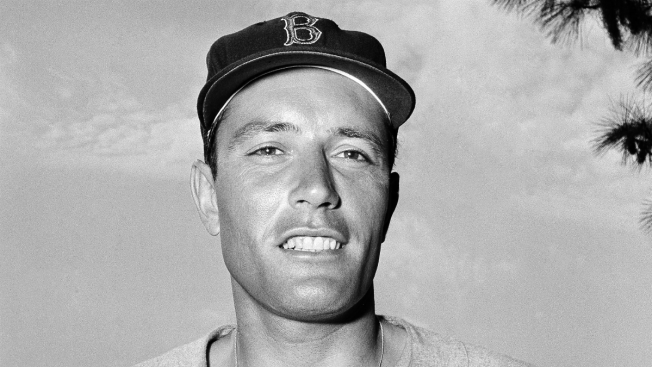 Former major leaguer Jim Piersall, who bared his soul about his struggles with mental illness in his book "Fear Strikes Out," has died. He was 87. Piersall's on-field antics when he first broke into the majors with the Red Sox full-time in 1952 cracked up fans and provided fodder for newspaper columnists. In one game against the St. Louis Browns, he made pig noises and mocked the odd throwing motion of aging Hall of Fame pitcher Satchel Paige. "Almost everybody except the umpires and the Red Sox thought I was a riot," Piersall said in the 1955 autobiography, later made into a movie starring Anthony Perkins and Karl Malden. "My wife knew I was sick, yet she was helpless to stop my mad rush towards a mental collapse. The Red Sox couldn't figure out how to handle me. I was a problem child."